Delegates will explore the principles of assertiveness and confidence, along with the dynamics of communication, including disagreeing constructively and being confident with challenging people. Fees for this full day workshop are £55 for Members and £150 for Non-Members. An early bird discount, of £5 and £25 respectively, is available if you are booking at least 4 weeks before the event. For further information, please contact the ICE Benevolent Fund at [email protected] or call 01444 417 979. Lucy Whitehall is a Positive Psychologist and Coach. Lucy specialises in employee wellbeing and performance, helping people to access their innate resilience and strengths enabling them to flourish and thrive. Lucy is an experienced coach trained to masters level. She works with clients from all walks of life including senior leaders, managers, entrepreneurs and business owners. 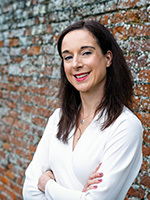 Lucy holds a BSc in Life Sciences, MSc in Human Resource Management, and is a chartered member of the Institute of Personnel and Development (MCIPD). In 2018, Lucy qualified with the world recognised Masters in Applied Positive Psychology and Coaching Psychology (MAPPCP), from University of East London.